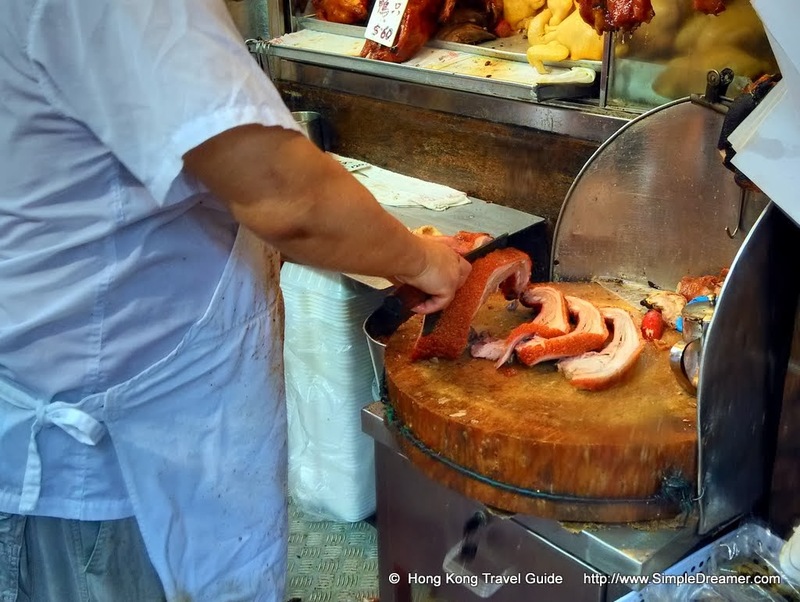 Hong Kong is a stunning little city that offers a variety of international cuisine. Siu Mei is one of the "must try" local cuisine that Hong Kong offers. Siu Mei (燒味), or Cantonese barbeque meat, is the generic name for meat roasted in rotisserie oven. Siu Mei are crispy, greasy and extremely tasty! You can find Siu Mei in 5-star hotels, restaurants, Cantonese cafe or Siu Mei shops around plenty of street corners in Hong Kong. Having said that, the best Siu Mei comes from Siu Mei shops in Hong Kong "old" districts such as Yau Ma Tei, Mong Kok, Central and Wan Chai. 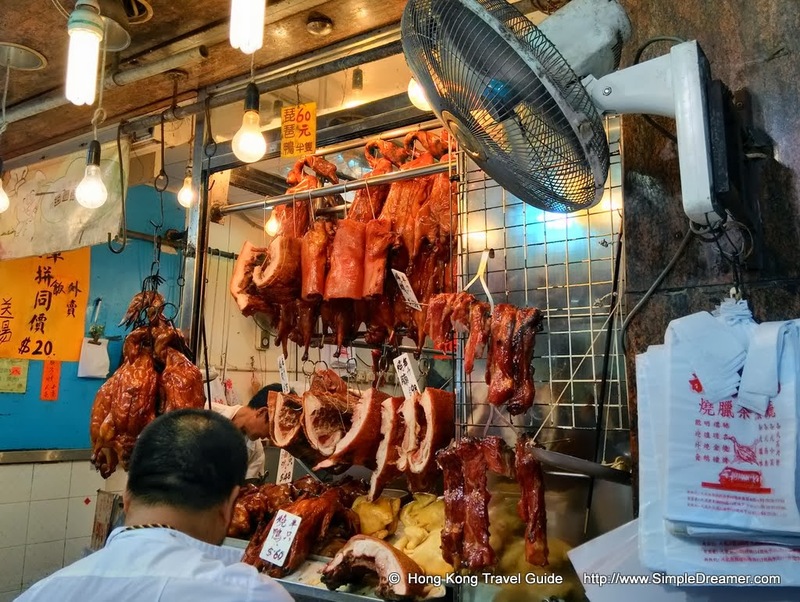 All Siu Mei shops offer a variety of roast meat. The most commonly known Siu Mei is probably Cha Siu (叉燒). Also known as Cantonese style BBQ pork, Cha Siu are strips of oven roasted pork. Siu Yuk (燒肉), roasted pork belly with crispy skin is also world famous. 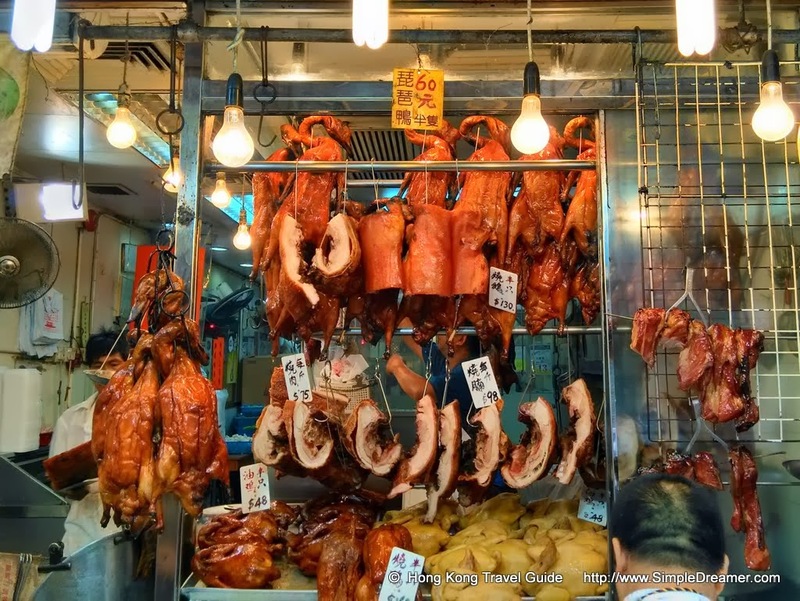 Other choice of Siu Mei includes Siu Ngo (燒鵝) roasted goose, Siu Ngaap (燒鴨) roasted duck, marinated steam Chicken (白切雞) and steamed soy sauce Chicken (豉油雞). Before Siu Mei are roasted or steamed in huge ovens, Si Fu the "Siu Mei Chef" would marinate and coat the meat with Cantonese style sauce. Depending on whether the meat is from a goose, duck, chicken or pig, the sauce would be different. And of course the special "treatment" that the meat receive would also be different. Siu Mei Shops or Cantonese Oven Roast Shop are usually easy to spot. They are usually on busy road sides with a rack full of Siu Mei. Upon order placed by a customer, Si Fu would chop the Siu Mei into small pieces with a huge knife on a round wooden chop board. 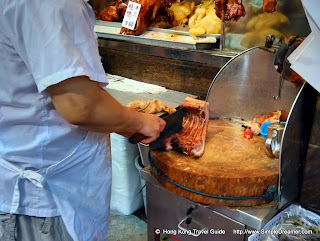 It is quite some experience to see oil dripping from hanging roasted meat, bones and grease flying off the thick wooden chop board and the amazingly efficient slicing and chopping skills of the Siu Mei Si Fu. Bear in mind that these all happens by the side of busy streets. 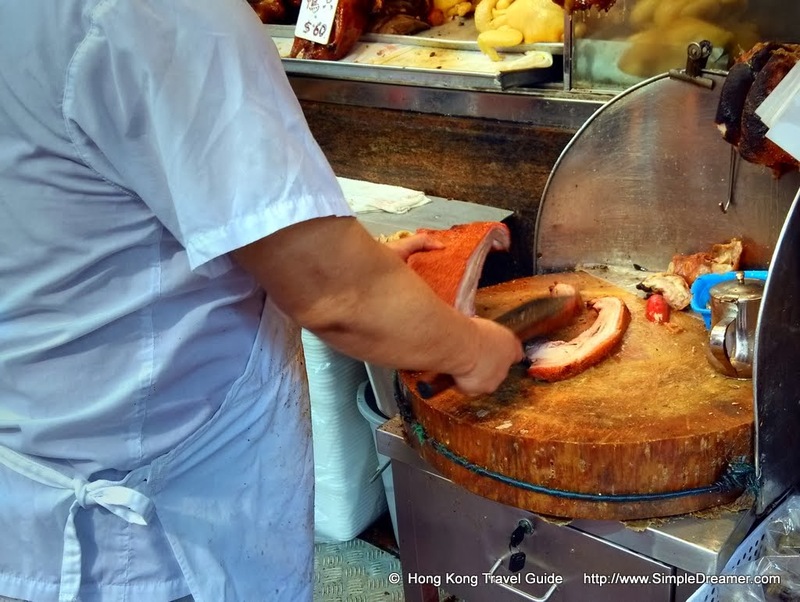 You can purchase Cha Siu or Siu Yuk by kilograms or by a dollar amount, for example, 1kg of barbeque pork or $30 worth of roasted pork belly. Roasted poultry are sold as a whole or half as a bare minimum, i.e. it is acceptable to ask for half of a chicken but not $10 worth of chicken. The best way to taste Siu Mei for the first time is to ask for a box of Siu Mei rice. You can have a small portion (around 5 to 10 pieces) of your favourite type of Siu Mei, no matter it is pork, goose, duck, chicken, or a combination of the above served on a box of hot steamed rice. It is one crispy, greasy and tasty experience that you cannot miss! Forget about the semi-genuine taste form China Town, try the real thing when you are next in Hong Kong!